Recent law school graduates face challenging transitions, significant uncertainty starting out in their careers, and pressure to create fulfilling lives and careers that will sustain them for years to come. 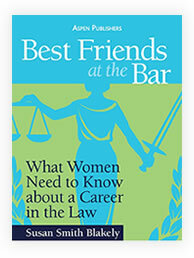 The Best Friends at the Bar books and What Millennial Lawyers Want address work-life challenges, professional expectations, and savvy approaches to careers in the law by sharing wisdom and insights from a wide range of practitioners. It’s an amazing gift for a young lawyer. Do you know anyone like David? David is a recent law school graduate starting off in a practice and he’s facing difficult decisions about work-life balance and her future. Happily, his mentor heard about a great resource and suggested he read Susan Blakely’s books. 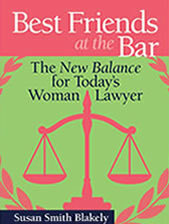 Even though the first three books are targeted to women lawyers, David can learn a lot from them. After all, David will be managed by women lawyers, will manage women lawyers — and he just might marry a woman lawyer. 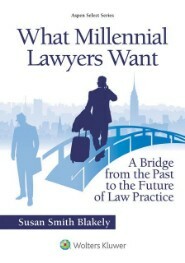 And the book about millennial lawyers is all about young female AND male lawyers. It was written specifically for young lawyers like David, and provides the career advice he needs to navigate a demanding and complicated profession. Navigating a career is hard, and many young professionals struggle to overcome obstacles—especially in a demanding field like the law. Thanks to the books, David is learning how to chart his own course, make better and more appropriate choices, define his own success, reach career goals, and manage expectations. What a relief for David to know that there doesn’t have to be a right answer for everyone, just a right answer for him. 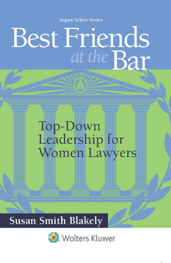 In the Best Friends at the Bar books, more than 60 seasoned lawyers and judges share their stories to help young lawyers avoid mistakes of the past. Whenever the topic of a career in law comes up now, David tells his friends that they can’t afford to miss these messages about success and work-life balance — and the unique values that millennial lawyers bring to the workplace. Susan Smith Blakely has mentored young lawyers throughout her career and is happy to meet with groups of students or recent law school graduates to offer personalized law career counseling. If you or someone you know would benefit from career counseling, contact Susan to set up an appointment.